¡Fallas has started in Valencia! Don’t know yet what fallas are? The fallas is the traditional commemoration of Saint Joseph, patron of the city of Valencia. The word fallas refers to the monuments that are created for the celebration. Every month of March each neighborhood of the city organize parties together for the celebration a build the monuments of fallas. During the five days of March in which fallas are celebrated there are a lot of processions around the city, monuments in every corner and fireworks during all day and night. 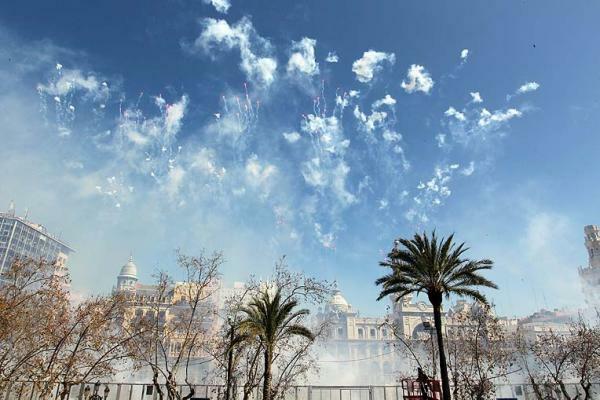 If you are coming to Valencia during this days you have to see the mascletà, coordinated firecracker and fireworks that explode everyday in the city hall square at 2 pm. On the final days of fallas every neighborhood wear tradicional dresses and walk to the city center offering flowers to the Virgin of Valencia. 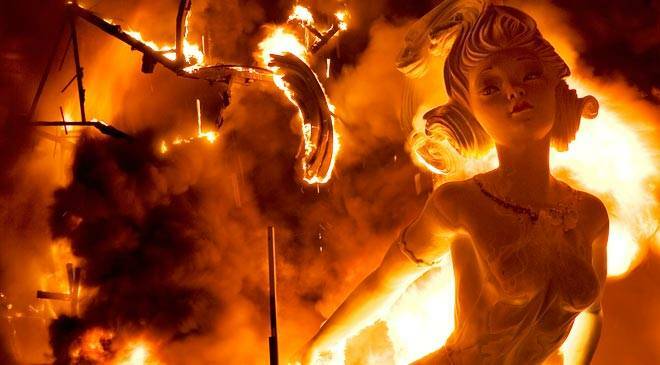 The last night of fallas, the 19th of March, every neighborhood burn their monuments. This is the cremà, the end of the festival. During fallas in Valencia you can’t loose walk around the city to see all the monuments, listen to the firecrackers at midday, watch the fireworks at night and eat some buñuelos with chocolate, the most traditional food of the party in Valencia! Artículo anteriorWhy be volunteer in Valencia? What to do in Denia?